Heavy hitters…not baseball though…It’s your favorite artists with their fresh-from-the-oven hits! 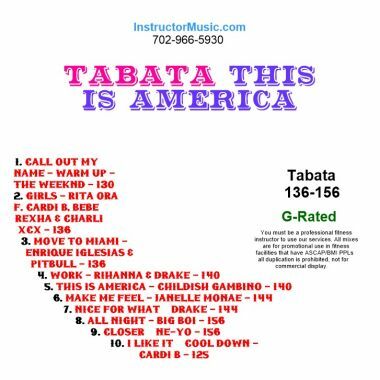 The new workout mix kicks off with Childish Gambino’s latest called “This Is America”. The heat continues with serious collaborations. First up, “Move To Miami” with Enrique and Pitbull. Finally, it’s the “Girls” turn to do their thing. Cardi B, Bebe Rexha and Charli XCX have an early contender for song of the summer. A few crossover favorites like “Closer”/Ne-Yo, “Work”/Rihanna put an exclamation point on this baby! This mix is G-Rated.